According to French site Consomac, Apple has registered two new devices with the Eurasian Commission for their database. It seems that any device that uses encryption must be registered there ahead of release. This should prove to be a very accurate indicator of an imminent arrival, since previous Apple device releases have been predicted based on registrations here, as well. 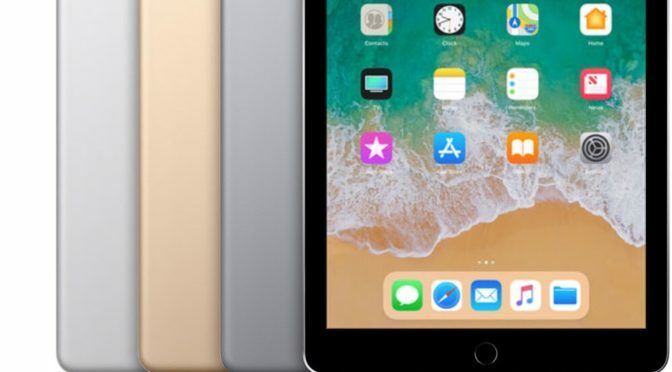 While there have been some rumors of new iPad Pros with Face ID, no Home Buttons, and slimmer bezels since late year, the lack of any supply chain rumblings ahead of this Eurasian filing points to a simple refresh of the lower-cost iPad now, with the new Pro devices coming later in the year.